Jesus Dogs: Behind the Scenes | Grand Central Magazine | Your Campus. Your Story. Did someone say free hot dogs? Located in a prime position to reach students, members from His House church have a home on the corner of Main and Bellows Streets where they serve free hot dogs, which have affectionately been known as “Jesus Dogs” each weekend. Since it’s known that college students have a small budget and a large appetite, this act of kindness doesn’t go unnoticed. The ministry doesn’t seem to be gaining any tangible benefits, so what is their motivation? Their answer is a humble one. Based on student reactions, His House has found that this technique has proven to be a successful way to connect. 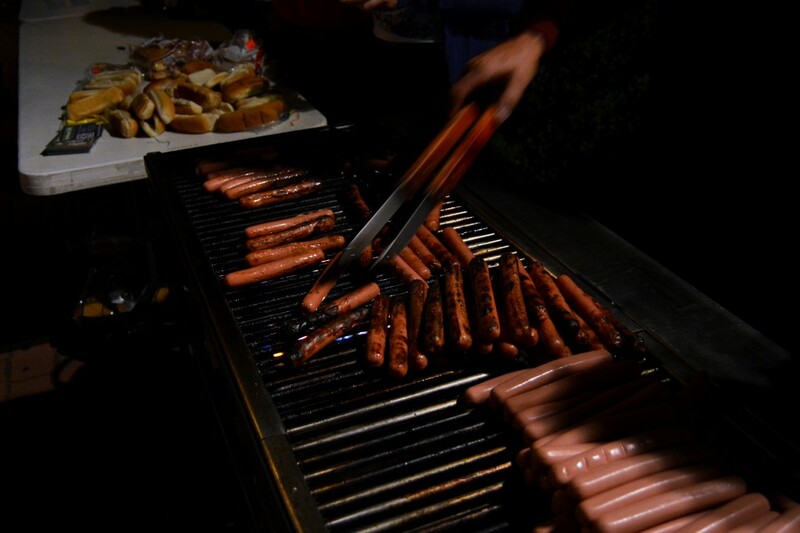 During Welcome Weekend this year, more than 950 hot dogs were given out during a mere three hour time period. This weekend operation is run by members of the His House ministry, but could not survive without help from members of the student population, like Midland senior Matt Meyer. Behind the scenes, a Bible study takes place prior to serving the hot dogs, where the ministry prays for the community. Shafer said the group has a great appreciation for CMU’s campus and prays that their efforts will positively impact students. “We serve the hot dogs as a way to show Christ’s love for our campus through this simple act of kindness and giving back,” Shafer said. With all that free food going around, who foots the bill? The Saturday meals are funded through His House church as a part of their community outreach. Being that the operation is almost entirely student-run, the ministry is able to connect to CMU students on a personal level using something that everyone loves – food. Separator image Posted in Drinks, Food and tagged with Central Michigan University, Food, Food and Beverage, His House Christian Ministry, hot dogs, Jesus Dogs, Rebecca Vander Sluis.